These are not run-of-the-mill, live and let live Christians – they are evangelical Protestants, fundamentalists who believe – literally – what Jesus said: “I am the way, and the truth, and the life; no one comes to the Father but through Me.” And, more significantly, who act accordingly. Nonbelievers, who, in their opinion, encompass most of humanity, including Yours truly (I’m neither a fundamentalist Christian nor a Southern Baptist), are going to hell in a handbasket. We desperately need their help. We are lost, wandering aimlessly, in darkness, and without hope. 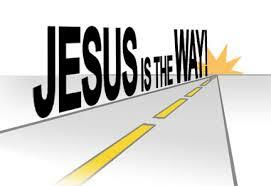 They, the enlightened ones, the saved, God’s favored, can help us find our way, to salvation and eternal life. All we have to do is accept the Lord Jesus Christ as our Savior. The above quote is taken from a July 2013 post, entitled Part II of The Trials & Tribulations of Proselytizing in the “Lost World” of Vietnam. (Here is part I, entitled Southern Baptists Bearing Gifts? The Trials & Tribulations of Proselytizing in Vietnam.) NOTE: Southern Baptists are a member of a select group of approved Protestant denominations operating in Vietnam. Another key element of the strategy of fundamentalist Christians to “make them like us,” i.e,. to convert the heathen to fundamentalist Christianity, to save lost souls, is to target non-Christian international students in the US. This is done by various fundamentalist Christian student organizations but also by homestay families that host Vietnamese and other international students. It works like this, more or less: charm them, be kind to them, soften them up and keep asking if they are interested in becoming Christians. Invite them to church-sponsored “English conversation hours”, bible study sessions, church services and social hours, etc. (The way to a lonely and disoriented person’s soul is through their heart and stomach, right?) It’s not enough to be hospitable, share US American culture and supplement their monthly income (unfortunately, a primary motivation, in some cases); these families also want to bring their non-Christian international “sons and daughters” into the fold so that they, too, can experience the joy and discover the salvation that their hosts have found. After all, Jesus is “the way, the truth, and the life,” right? How do international students adapt to persistent attempts to convert them? Some play along in order to benefit from the perks that often come from cooperation, e.g., special events, meals and trips. Others ignore them while still others succumb and decide to join the club, so to speak. Their other option, which few take advantage of, is to be proactive, complain to their school’s international office and ask to be placed with another family that doesn’t feel compelled to impose its religion on unsuspecting international students. Make sure your agencies (or your staff, if it’s an in-house operation) are aware of and attuned to this very real phenomenon. Include it in the screening process and reject families that have, or appear to have, a religious ax to grind. Relocate students whose hosts are making concerted efforts to convert them. Freedom of religion is the right to practice one’s own religion not to impose it upon others. Overseas study creates enough personal, cultural and academic stress. It’s even greater for younger students enrolled in high school programs who tend to be more impressionable and pliable. What they don’t need is more stress from misguided and zealous people who believe their way is the only way. Besides, Buddhist, Muslim, Hindu and other parents are not paying good money to have their children turned into fundamentalist Christians, US American-style. Do what you can, dear colleagues, to prevent this despicable practice from occurring at your institutions and in your communities. In the name of all that is Good & Just. Amen! ← Happy Holidays from Việt Nam!